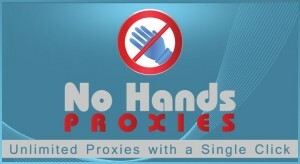 No Hands Proxies is the premiere proxy harvesting software capable of finding and checking hundreds of working public proxies. A proxy is something that will aid in hiding your online IP address, this can be useful for testing a website you are building or for skirting around region locks on a particular website. Proxies are an integral part of almost every SEO tool and will allow you to run more jobs in the same amount of time whether you are scraping search results, creating accounts on websites posting backlinks then proxies are a must. 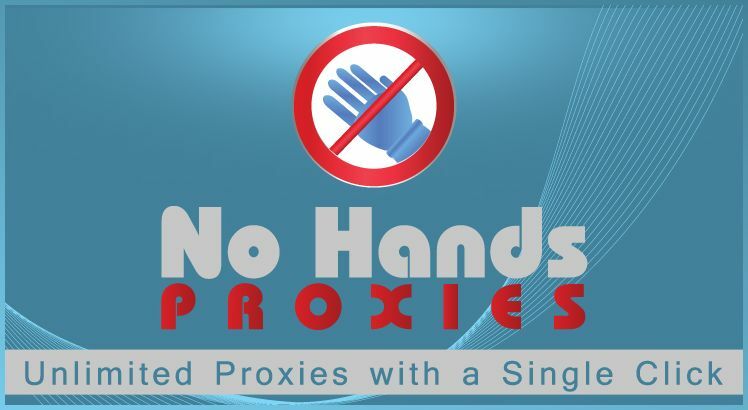 No Hands Proxies has the easiest setup and use of any proxy harvesting tool allowing the user to click just a single button to generate specialised lists of proxies specifically for their needs. No Hands Proxies is an automated harvester and checker of public proxies, the other type of proxies is private proxies. Private proxies are generally more reliable than public proxies but the price difference is night and day. Private proxies can cost as much as $2 per proxy per month whereas No Hands Proxies can provide hundreds of working proxies for as long as you want to use it for a single cost of just $57. No Hands Proxies will output any type of proxy you need to any file, FTP server or even email to wherever you want but can also be automatically setup to send proxies directly to No Hands SEO to make setup with that great backlinking software as simple as could possibly be. No Hands Proxies has proven itself as an effective tool for harvesting proxies continuously while all you need to do is hit the start button.